Toyota is one of the few automakers actively pushing hydrogen fuel cell technology into the mainstream. Already, it’s said that it wants to bring the costs of FCVs down by 2025, thus making them more accessible to more people. Meanwhile, its new hydrogen fuel cell truck prototype now has an increased range of 300 miles. Last April, Toyota tested its Project Portal Alpha truck for almost 10,000 miles with real-world operations around the Long Beach and Los Angeles ports. The truck emitted nothing but water vapor and weighed 80,000 pounds with over 670 horsepower and 1,325 lb-ft of torque from two Mirai fuel cell stacks and a 12kWh battery. It had a range of over 200 miles per fill. The Beta truck, which keeps the same HP and torque figures, has extended the range to 300 miles per fill. It also is more maneuverable and versatile, since Toyota added a sleeper cab and a unique fuel cabinet layout that increases cab space without affecting the wheelbase. If Toyota can successfully bring down the cost of hydrogen fuel cell technology and if hydrogen filling infrastructure gets a serious push, then it could truly become an alternative, zero-emissions option. Already, Toyota is planning on launching a fuel cell bus in the Tokyo metropolitan area. The buses will be quiet, spacious and environmentally sound. I can’t help but be a little envious of that. 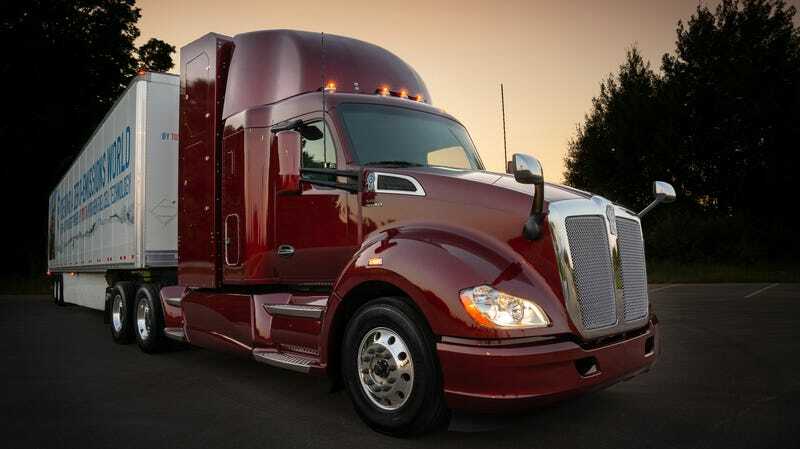 You’ll remember Project Portal as Toyota’s once-secretive project to build a hydrogen fuel-cell-powered big rig in partnership with the California Air Resources Board and the Port of Los Angeles. The first truck was based on a Kenworth T660. And if you needed further convincing that fuel cell trucks are awesome, just take a look at how quickly they can accelerate. If this is our future, then I am extremely Here for it.